A gorgeous gift to spoil the special lady in your life this Mother’s Day, our Rose Tin will bring a big smile to their face. 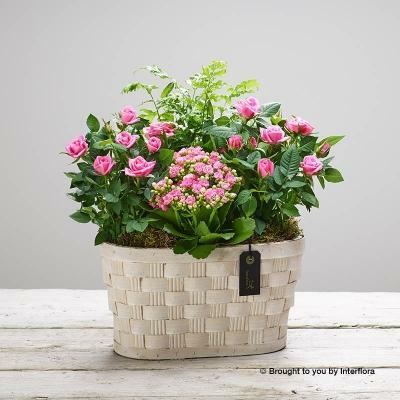 Hand potted by our expert florists in our luxury printed container, our Mother’s Day Rose Tin will make a lovely lasting gift for Mums who love pink roses in the home. 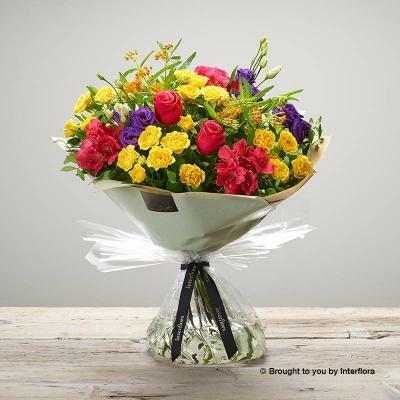 A gorgeous gift to spoil your mum with this Mothering Sunday. 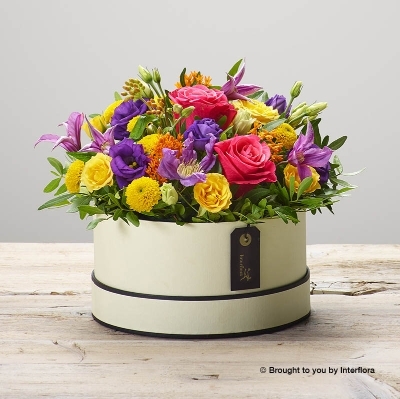 Our Delicate Florals Tin has been designed to make a WOW impression, full of beautiful scented blooms presented in a keepsake floral tin for a country garden feel gift. 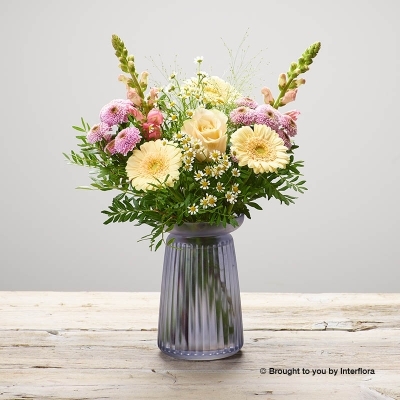 The Delicate Florals Tin includes cerise carnations, green chrysanthemum, pink roses, cerise roses and pink waxflower, complimented with thlaspi and pistache for an elegant floral gift. 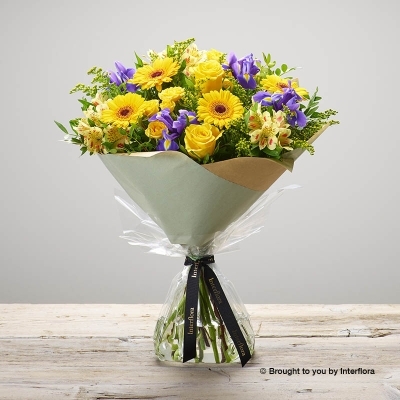 A classic yet contemporary bouquet, Beautiful Bond has been expertly designed to create an elegant floral gift to spoil your mum with this Mothering Sunday. 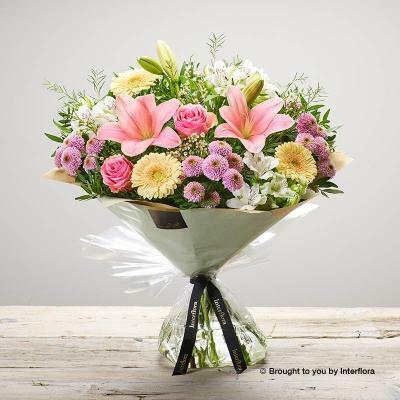 Our talented florists use the finest white oriental lilies, ivory roses, white alstromeria and antirrhinum and hand-tie along with thlaspi and salal foliage for added texture. We carefully hand- tie and wrap in biodegradable floral wrap and finish with luxury lilac ribbon for the perfect gift to give this Mother’s Day. 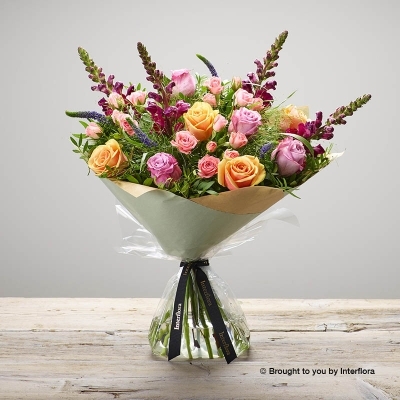 Make your mum feel extra special this Mother’s Day with our show stopping Exquisite Rose hand tied bouquet. 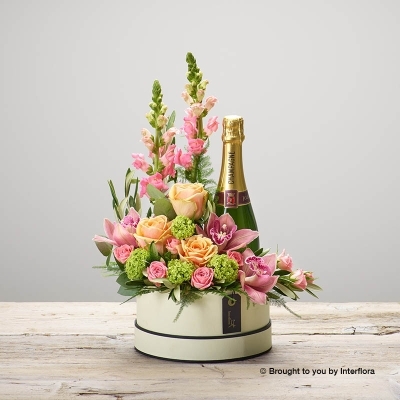 Designed and created by expert florists, this hand- tied floral gift includes white spray roses, ivory and pink large headed roses, pink waxflower and green salal and pistache foliage for elegant texture. 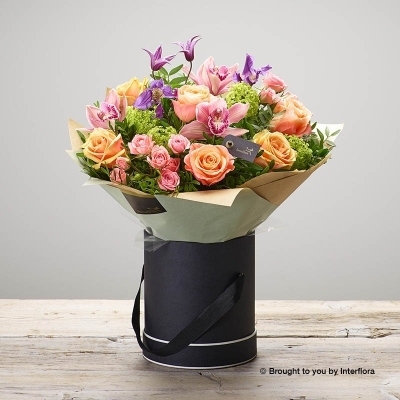 Lovingly hand- tied and wrapped in biodegradable floral wrap and luxury ribbon for the perfect gift to spoil your mum. 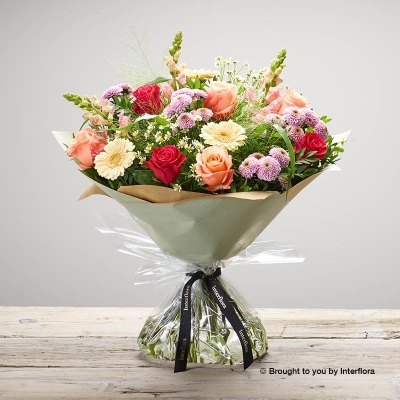 A pretty bouquet to spoil amazing mums with, our Mother’s Day Majestic hand-tied bouquet will make them feel extra special! 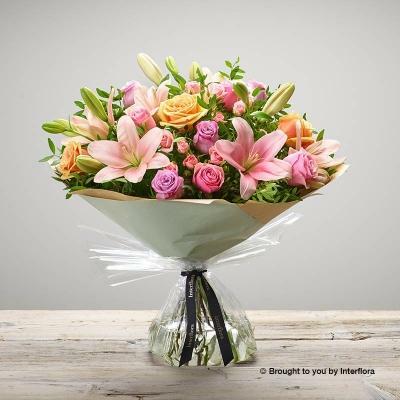 Our expert florists use cerise roses, peach germini, pink and white large headed roses to create a pretty pastel bouquet and finish with aspidistra luxury leaf and foliage for added texture. 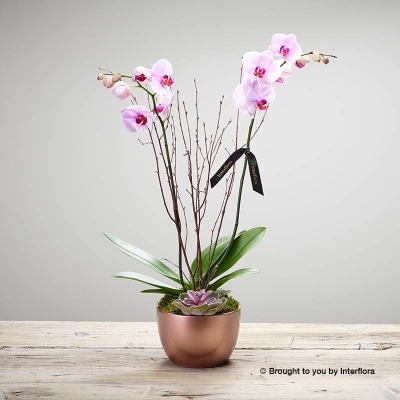 Lovingly hand- tied in store and wrapped in biodegradable floral wrap and luxury ribbon for the perfect gift to give. 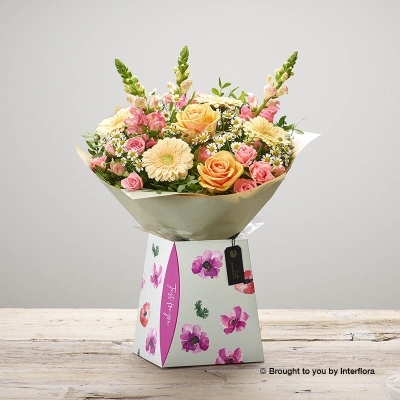 This gift set includes a Mothers Day Majestic hand-tied , a Mothers Day balloon and a box of Belgian chocolates.